I never thought I’d self publish anything. Truly. I’m a traditionally published girl with eleven books under my author belt. I love my publishers, love what they’ve done. But there came a time when one of my book ideas didn’t fit within their needs. 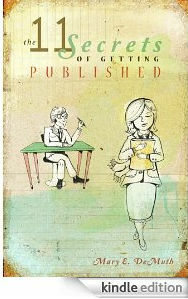 After this, I started to entertain the idea of publishing (via e-book readers) The 11 Secrets of Getting Published. I learned a lot along the journey. I’d like to save you the learning curve, so read on to discover the seven simple steps for publishing your e-book. Develop an idea, then write it. This is probably the hardest thing in the process. Some of you have short stories you’d like to compile. Some have novels in a drawer. Others have tons of blogs you could pull together to create a book. That’s what I chose to do. I had this idea to compile the most instructive posts from my former blog, Wannabepublished. What surprised me: when I added all the posts into a document, I had over 60,000 words! (Side note: a typical nonfiction book is 50-60,000 words. A typical novel is 80-100,000 words.) Of course, with an e-book, the rules have changed, but these numbers give you a ballpark to shoot for. Edit the document. I spent the the next few months editing the piece. I also hired Leslie Wilson, a mentor at the Writing Spa, to fine tune and organize it for me. If you’re not a writer (or even if you are), I highly recommend you hire an outside editor. You want to produce the best possible book, right? Keep in mind there are two types of edits, a substantive edit where the editor checks the big idea, flow, holes, etc. The second is a line or copy edit, where the editor checks for grammar and usage problems. Both are important. If you have an incredible critique group with big picture writers (substantive) and English teacher types (copy), you may be able to get away with not paying for an edit. But it’s always best to err on the side of professionalism. Transform the document into the correct e-format. You can’t just upload a word document and be done with it. You need specific files to upload to the Kindle (known as a .prc file), which are different than the Nook or iPad (known as the .epub file) format. Many people have successfully used SmashWords for this. I’ve been to the site, and it seems very user friendly. The only thing they ask is that you make sure your document is correctly formatted in Word before you upload it. They have a SmashWords Style Guide you can upload for free that helps you through the process. Since I work with Believers Press, I decided to pay to have them convert the files for me. They did an amazing job and quoted an affordable price. Although it’s not entirely necessary for ebooks, it is a good idea to buy an ISBN for your title. You can purchase these at Bowker. It’s cheaper if you buy more than one. 1 is $125.00. 10 ISBNs are $250, and 100 are $575. I bought ten. The process is fairly simple, and all the ebook uploaders have a box where you can place your ISBN. Pay a designer to create an amazing cover. Don’t scrimp on this. I happen to adore my friend George at Tekeme Studios. He is incredibly gifted at creating covers. Find the appropriate site and register an account. They’ll ask you for your SSN or EIN, your address, and your banking information. You can opt to have them send you a physical check or direct deposit the money into your account. I chose the latter option. If you’d like to upload to Kindle, click here. For Barnes & Noble’s nook, click here. For the Ipad, click here to start your account with itunesconnect. Here’s a FAQ for the iPad uploading. It’s a bit complicated (oddly). (The latter two were not easy for me to find initially, so I’m saving you time by giving you the direct link.) Happy note: IT DOES NOT COST YOU TO HAVE AN ACCOUNT OR UPLOAD YOUR BOOK. IT IS FREE! Yay! Give your title, a book description, and the language you wrote the piece (presumably English). Identify yourself as the author. If there are contributing authors, you can add more authors in drop down menus. Decide about DRM (Digital Rights Management). You want to select Enable Digital Rights Management so people can’t send your file everywhere. This protects you from piracy. Provide your ISBN (if you have one). Supply keywords (words that relate to your book that will help them position your title). Click through categories and decide which ones best fit your book. For instance, my category had to do with publishing and authorship. Upload your book cover image. They usually have a file maximum size like 5 MB. A typical cover will be about 1.5 MB. Your graphic artist will already know this and will create the file in appropriate dimensions with web friendly colors. Set the price. Of all the research out there, $2.99 seems to be the magic number. It’s the least you can price something and still make a high percentage on royalties (for Amazon, that’s 70%). Decide on rights. Typically people choose worldwide. When you finish all this (It took me less than an hour), wait about 24 hours for the book to go live. Message your Facebook and Twitter followers. Give books away for free for a short period of time to generate buzz, and ask that folks review and chatter about it. Send a note to your email distribution list. Give copies away to influential friends who would offer endorsement and/or tweet/facebook/blog about your book. Take out targeted Facebook ads. Pay to be a sponsor on Kindle Nation Daily. Here are their prices. Author James Scott Bell said he did this and more than paid back what he paid to advertise his books. So there you go! I’ll admit that when I first thought of doing this, I felt completely inadequate and ignorant. The learning curve seemed too high. But as I chipped away at the process, I realized this was something I could do. It makes me happy, too, to know that I can simplify the process for you. So get writing! Start publishing! Venture forward! Keep this post and share it with others who need the process demystified. If you’ve done this before: What words of wisdom can you offer authors who want to publish an ebook? If you haven’t done this before, what is holding you back? What part of this seven step process intimidates you? 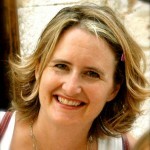 Mary DeMuth is an author and speaker who blogs at http://www.marydemuth.com/. Very useful post to find ebook publishing this is amazing to get all resources in one place . It will help for all individual, authors for developing publishing and marketing their ebook. I also suggest a leading ebook conversion company which offers complete digital content conversion solution including ebook conversion, ebook formatting and publishing. Log on to http://www.suntecindia.com/typesetting-ebook-conversion-india/pre-press-epublishing-india.htm and get affordable high quality digital publishing services. Its like you learn my mind! You appear to understand so much approximately this, like you wrote the e-book in it or something. I think that you can do with some percent to drive the message home a little bit, but other than that, that is great blog. A great read. I’ll certainly be back. Hello, i think that i saw you visited my web site so i came to ‘return the favor’.I am attempting to find things to improve my web site!I suppose its ok to use a few of your ideas!! Superb post but I was wondering if you could write a litte more on this topic? I’d be very thankful if you could elaborate a little bit more. Many thanks! Unlimited Fb Likes provide the options to buy Facebook fans and Facebook likes for widening the more targeted traffic over the site. We provide options like increase Facebook likes to come in Facebook notifications and to promote the products and services indirectly. Facebook offer different type of tools that you can use to promote your products. These applications allow you to market products far more effectively than other tools available in the rest of social networking sites. Do you acknowledge that this is correct time to receive the business loans, which would help you. Appreciate it for sharing How I Created My First E-Book | Rachelle Gardner with us keep update bro love your article about How I Created My First E-Book | Rachelle Gardner . Thank you so much, I was searching The 11 Secrets Ebook Download since 25 Days. Can anyone offer any information about publishing e-books for children/teens? I’ve spent the past couple of years researching publishers and searching for an agent that represents Christian middle grade fiction (with no luck unfortunately) My son is determined for our book to be published, so I thought I might suprise him with a reader and a copy of our “published” e-book since I can’t get my foot in the door any other way. I’d really appreciate any advice! Great article. It is always good to get more information for my future authors etc. There is so much information in this post and the comments… This is an awesome resource for new e-authors. Thank you one and all for sharing. Awesome-Awesome-Awesome. Thank you so much for this!!! Thank you so much for this blog. I have bookmarked it and will read it many times over. Right now my head is spinning with all the new terminology, products and formats. To publish to iPad, if you have a Mac, you can do it yourself (though I think you need to go through a vetting process with Apple), or you can you use a distributor like Lulu or Smashwords. Amazon and B&N make it extremely turnkey. It literally takes me five minutes to upload to each. Bookmarking this. Thanks! Good info, soup-to-nuts. Though I think the “edit the document” is where I may spend 95% of the time :). I have two e-items up for sale, a short story and a non-fiction, historical/political book. I uploaded the short story to Kindle mainly to learn the process of creating an e-book. I completed the non-fiction book, which had been hanging around my hard drive unfinished, mainly so I’d have something else to sell. Since then I’ve replaced the covers on both, and uploaded a new version of the non-fiction to correct two typos and insert one missing word. The main thing I learned is, while you shouldn’t rush to publication, since you can change your e-book as often as you need to, the important thing is to get it up for sale. Make minor corrections or improvements as needed. It’s easy. Are heavily illustrated/sketchbook type books possible in this ebook format? Parisbreakfast: I think you’ll be better off researching this yourself than waiting for an answer here! The short answer is: yes. But there are so many things to think about in making that decision, so much to learn. There are HUGE differences between what a book looks like on a Kindle vs. an iPad, for example. You have to ask yourself not only do you want to do this, but if so, which devices should to prepare your book for? And so much more. I’m sorry but you won’t get an easy answer here. Have fun researching! Thanks Rachelle for the direct response. Actually, you have a third option for your license: Creative Commons. I actually like this series of licenses more. They are all open, free, and allow people to choose how they share their works. Check it out at http://creativecommons.org/. This post is absolutely timely for me. Thank you for the wealth of information. Not sure about the formats for ebooks but when I self-published in soft-cover using pdf, the galleys were a mess. Conversion from doc to pdf is not always clean. If the same thing happens for ebook conversion, make sure to do a thorough galley proofread. What a wealth of information, Mary! Thank you for outlining all the steps. Priceless! Wow this is a one-stop shop if you want to e-publish. Bookmarking now, thanks! This is an incredibly helpful post and the responses as well are informative. I’m wondering what the approximate costs would be if one used all the services you rec here just to get a ballpark figure..
Is there any hope for someone with an illustrated book – a travel guide of sorts with maps and other graphics. Yep. I e-published. My advice: Just overcome that I-wish-I-knew-everything-about-it-before-I-act fear holding you back. Click on those links. Take the plunge. It’s easier than you think. I know because I’m about as un-geeky as you get. Get’r done! Oh…my book? Mouse Hole on Smashwords. Don’t know how to put a link in here but just go to Smashwords, enter Mouse Hole or Neil Larkins in the search box and there you are. Just 99 cents…or you can read a nice exerpt of a few pages before you buy. Thanks, Mary. Thanks, Rachelle. A definite ‘keeper’ article! Thanks, Mary. You’ve broken things down so nicely–much appreciated! Great post, Mary! I have several ideas for ebooks and actually started putting one together this summer! This is post is so perfect! Though the process does intimidate me, I’ll do like you said and chip away at the process!! I bought Mary’s book on kindle, but liked it so much, I also bought the PDF, and had it printed and bound. I like paper copies better, and I like highlighting stuff, etc. Funny, it cost me $2.99 for the download and $20 to print and spiral bind. Now we know why publishing costs so much!! Great post Mary! And Robyn what a thorough and awesome comment!! The only thing I would add is please take your time. Write your book and enjoy the process. Find a professional editor and on top of that have several beta readers if you can. It’s so easy to point the finger and say this book is poorly edited, but even with many eyes looking over the same MS mistakes still slip by. Make sure to market you book everywhere and don’t be shy about reaching out to your audience. I try and answer each comment left on my blog, facebook, twitter because it makes me feel more connected to my readers. Plus, my readers are awesome so of course I want to hang out with them as much as possible. I’m so glad to see self publishing embraced by great agents such as yourself Rachelle and great multi-pubbed authors such as Mary. It only goes to show the stigma has been removed, the dawn of a new era is upon us and that both self-pubbed and traditional can go hand in hand. My best piece of advice is to research epublishing beyond the hype of Joe Konrath. Not everyone makes money at this. Especially if you don’t have the editing, cover design, or formatting skills yourself and are thinking of paying others to do these things for you, be very clear about your finances. Understand that advertising your book can be a long and expensive process. Kindle Nation Daily was mentioned, and it gets good results. But they are booked MONTHS in advance. And sales the day your ad appears might be enough to pay for the ad, but sustaining those sales is the bigger challenge. Going on anecdotal evidence, the novel I epubbed on April 1 is doing maybe just a little better than average. It got a good start at 99c, but royalties aren’t much at that price. I’ve recouped my publishing expenses, but only because I did everything myself (I’m an editor by trade and I’ve got graphic design experience). My only expense was the $38 license fee for the cover image. People who don’t sell 1000 copies of their books a month aren’t as likely to brag about their numbers. And many people who say they’ve sold 1000 copies in a month tend to leave out that’s the aggregated total of maybe 10 or 11 books. There are many, many more people selling 10-12 copies per month of a single title as there are selling 500 or more copies per month. The book made it to #5 on Amazon’s Hot New Releases for its category and was in its category’s Top 100 Bestseller lists for both Kindle and all books for a few weeks. It’s highest overall ranking was around 5000. I upped the price to $2.99 on July 1 and so far have sold 14 copies in 8 days. In just a little over 3 months, I’ve made about $140. Do I expect sales to grow? Of course I do. Ebook sales do tend to build over a few months time. But if you can’t afford to not make back the money you put out to publish your book in the first 6-12 months, then rethink your strategy. Sure, you could be the next Hocking or Locke or Konrath. Or you could be in the 50+% of the bell curve that’s to the left of the numbers above. Do your research and keep your expectations realistic. Thank you for your transparency. Brave, and much appreciated. Wow! What an incredibly helpful post. I’m in the midst of trying to figure out all of this for myself. Definitely bookmarking this one! You can actually get a free ISBN if you distribute your ebook through Smashwords (also free). You can choose which sites to opt into there, so you can still publish to B&N and Amazon on your own, but they can get you into iTunes, Sony, Diesel, etc. Also, Kindle Nation Daily is very hit or miss because it’s a general-audience site. It seems to work well for folks with wide-appeal books (romance, thrillers, etc.) and a lot less well for people writing high fantasy or science fiction or something else niche. This sounds straight forward but time consuming; thanks for outlining the process. Do you think it was easier to sell an ebook by yourself once you were well-known as a writer because of your traditionally published books? Like, I’m a nobody; it will probably be harder for me to market and sell any book that I want to publish. Thanks for the great post! It’s an answer to prayer! Can’t wait to get busy and get my books out there in e-format. At seminars and retreats where I teach many have been asking for my self-published books to be on Kindle and the rest. Thanks to both you and Mary! This was an awesome post. Thank you! Great, informative post that breaks down the process very nicely – thanks! I’ve published six books via Kindle, including one last weekend over Independence Day (get it? Because I’m an indie author). I’ve also used nook and Smashwords. I don’t like the latter. I use Word to write, not to publish. So I like most of this post and the advice therein except for #3, which may be the most important element when publishing digitally. If you want to do so, there are a few programs necessary, the first of which is Notepad++, which lets you edit and code files you’ve saved as html from Word. After you have that file fully coded in html, the two best programs are Mobipocket Creator (to create PRCs for Kindle. It’s a truly excellent process) and Sigil/Calibre, both of which are useful for making those html files into ePub documents for nook and the iBookstore. Holy cow, thanks so much for compiling these instructions. I’ve bookmarked this page! If you guys need help creating a cover, want someone to create a cover for you or if you want to know how to do it yourself for free, feel free to contact me on my website and I’ll do what I can. I have info on how to merge photos and use low cost programs to create a cover. But I also design covers, mostly for my writer’s group friends and a few other people who found me on my website. MOst of you probably know someone who knows someone who does design work or art. This is the best way to get the biggest bang for your buck. But never ever pay someone to do a cover without seeing examples of their work. YOu can fix a lot of stuff but can’t change basic style. Just wanted to share that I contacted Tirzah to do a book cover after reading her post here on Rachelle’s blog. She was REALLY patient and kind and went above and beyond to make sure I was pleased with her work. There aren’t many people out there like that anymore. A great first time experience! 4. I completely agree with Mary on cover art and editing. I would take it one step further. Have your book professionally edited but also invest in a proofreader as the final step. It’s worth the investment. 5. I also recommend outsourcing the eBook formatting. LOTS of people disagree with me on this since you can DIY and it’s supposed to be “easy” but a little time consuming. I’ve seen too many poorly formatted self-pubbed books, so I disagree with this statement. It’s worth it to pay someone to do it right…and it’s not a huge expense. I look at it this way: I can put the time I’d spend formatting a book towards writing or marketing — my time is better served in both of those places. 6. Some marketing ideas — I agree with Mary about establishing a presence on FB and Twitter. Make sure you create a separate FB page (don’t use your personal profile — there are so many reasons why you shouldn’t do this, but I’ll resist the temptation of getting into them here) and really, really work it. Virtual book tours are a great way to get your name out there and connect with readers. I’m on tour right now and recommend the Virtual Book Tour Cafe: http://www.vbtcafe.com/ (but there are lots of these out there, and many are genre specific, so noodle around). Make sure you have a presence on places like Goodreads as well — you can create an author profile there and sell books (I also find Goodreads ads to be effective). Make sure you create an author profile on Amazon, too. Book trailers — they don’t need to be expensive. Lots of great software out there. I use Animoto: http://www.animoto.com Yes, some folks debate whether book trailers are effective and whether they sell books. From my experience, they DO sell books. Is it a ton? No. But if they speak to a potential reader and get him or her to buy, that’s great. And video is important in social media. Create a trailer and use it on your website, on your blog, on Facebook, tweet it, and create a YouTube channel. 7. KEEP WRITING. Get on with your next book. Do NOT obsess over sales. It’s a marathon, not a sprint, so try to avoid getting in the habit of checking your sales constantly (easier said than done, I realize, but still). Can you tell I do marketing copywriting part-time? As a side note, you don’t need an ISBN to publish at Amazon, BN.com, or Smashwords. So if someone wanted to save a few bucks, they could get started without the ISBN. You do need the ISBN for Apple’s store, however. Thanks for all your responses. I purchased my ISBNs in bulk, and as an author, I felt it was wise for me. Folks are right that you don’t need them to publish in certain formats. I just wanted to be cautious. In terms of converting the files, if I had more time, I would do that myself. But outsourcing to Believers Press has proven to be a great route for me to take. I truly look forward to seeing all your words in print!!! As I went, I wrote a guide for myself similar to the one above (posted online at http://www.gracebooks.org), and am now working on a much longer eBook. It is nonfiction. I am half-way through, and already at 60,000 words. Yikes! Last week I created two eBooks for Frank Viola, and a third one is in the works. These can be found at http://www.ptmin.org. He only put up the PDFs, but I also made .mobi and .epub versions for him. Super great post, interesting, informative, well written. Congratulations! And many thanks. Thank you for this article! This is so helpful! I have always thought that the primary person you should write for is yourself. If you enjoy writing, who cares if anybody else wants to read it? As you write about what you enjoy, your enthusiasm and creativity comes out, and others want to read what you write. Melanie, I think you should stop stressing out about all these “what if” questions and put first things first. WRITE A BOOK. Meanwhile, stay connected with other writers and slowly increase your knowledge of what’s going on in publishing. Read blogs. Go to a conference. Over time, and once you have a book that’s ready, you’ll be able to figure out what to do with it. Meanwhile, since you’re still in the “I’ve always wanted to write a book” phase, you really need to spend 80% of your writing-related time/energy on writing a book, then getting feedback, revising, polishing, etc. The other 20% can be spent getting to know the industry. If you haven’t written your book yet, then you’re probably at least 6 months to a year away from being ready to consider all those “what if” questions, so let them go! Thank you so much for this post. I’ve been considering e-publishing as a way to build a platform and get my name out there, but didn’t have a clue where to start. Now I do! I appreciate the price recommendations as well. Does the $2.99 price fit with a book of any length? It seems a good way to sell a large quantity…to make it very affordable and to make sure that it’s a great product. This is so helpful. Thank you! Yes, $2.99 fits a book of any length. You can go lower in price if you want, but not less than $.99. If you go with price less than $2.99, the royalty rate at Amazon drops to 35%. This is another reason many sell their books at $2.99. It is the minimum price at which you can get the 70% royalty rate. However, even $2.99 is too much for some eBooks. I wrote a short story a while back, and published it on Amazon, BN.com, and Smashwords. It is only 5000 words, and I didn’t think I could charge $2.99 for that. So it is $.99. After seeing some of my friends successfully publish their work on Amazon, I decided to experiment with my own small short story collection (all previously published in magazines). One friend gave us full instructions for converting the work to an HTML document, loading it into Mobipocket creator, then previewing it in the kindle reader. Time-consuming, but then it was just a matter of uploading it to Amazon! Now going to try it on Smashwords. Might as well give those stories another airing while writing my novels. I’ve done this before and published my first e-book (Forget the Past) one month ago. All I can say, is that everything you say is spot on! I would just add that Smashwords, while very user-friendly, is not free: they skim off a percentage on the royalties you get from Amazon et al. If you want to avoid that and get 100% of royalty, then you can go to BookBaby. That’s the site I used and they are very professional and can also do a very good cover for you for a much lower price than the market average (about half-price I would say). I didn’t pay much either because I provided them with one of my own paintings. But you can also give them a photograph or any illustration you like and they’ll professionally adjust it and make it look really good. The only problem is: if you use the services of someone to do the file conversion and cover (like BookBaby), you are actually putting an intermediary between yourself and the publishing platform (Kindle, B&N, Apple etc). The annual charge for the service is $19 in BookBaby’s case. But it is still an intermediary: Kindle considers them – BookBaby – when reporting your book sales (and they in turn advise you) and paying (and they in turn put it into your bank account) BUT not you directly. BookBaby is a new service for indie publishers. They will convert your files and download them to all the e-book seller sites (Amazon, etc) for a flat 99.00. Plus they admin your payments. They will buy you an isbn for 19.00. I haven’t e-published yet, but I’ll probably go this route when I do. What about Kobo? Any idea how to get your e-book on their system, too? It’s kind-of an unknown in the e-reader world, but Chapters (Canada) sells them like hotcakes. Smashwords distributes to Kobo. You can get it on there through them. Never been published to begin with, so I wonder, why would I need to purchase more than one ISBN if I self-published? Doesn’t the ISBN go to that book (and all its many copies) alone? If you think you are going to publish more than one book project, it’s cheaper to buy ISBNs in bulk and use them as needed. If you are only doing the one book, you only need the one ISBN. So ISBN 1 would go to Book A and all its copies. ISBN 2 might go to the sequel. And Emily, Smashwords will allow you to set yourself up as as epublisher imprint of you are publishing books from two or more authors. Check out their info on setting yourself up there as an e publisher. Its not the best way to do it but its one of the easiest. Plus it provides the ability to issue book coupons and total control of the book cost. I’m still not thrilled with the speed it goes into to Kindle but Smash works for me otherwise. The biggest drawback to Smashwords is that so many of the books on their need more editing. I’ve got keys sticking on my keyboard tonight. Sorry for the stalls. You don’t need to buy an ISBN if you go through a company like Smashwords because they provide one free. I do agree about getting a great cover. Don’t put that much work behind a 10cent discount picture. And with searching you can get very affordable covers done. Make sure you see samples of their work. Have some examples of the kinds of covers you like. First off, THANK YOU for posting the ISBN prices. I want to own my own publishing company (someday… far, far, in the future) and in all my research those prices were one of the things that have been eluding me. Thanks so much! I self published on Lulu.com. It is a free service, I ended up paying only for a few print copies of my book. The great thing is that they will assign you an ISBN for free! I formatted my book on Word, then made a PDF for them. They automatically converted my print copy to an ebook. I also did kindle and it was a little more complicated. I’ve been throwing around the self publishing idea for a while now. This is so informative. I’ve bookmarked it so I can come back and read it more slowly. I have a successful eBook (Warrior Prayers: Praying the Word for Boys in the Areas They Need it Most) and I agree wholeheartedly with Mary’s observations. I hired someone to design my cover and format my document (www.designbyinsight.com) and I don’t regret that at all. My main piece of advice, again in keeping with this article, is to focus on what you’re good at (presumably writing) and hire others to do the things that would stress you out. Even though eBooks fall under the “self-publishing” title, the process can be stressful. I could have figured out everything myself, but I knew it would take time and I didn’t want to spend the time I could’ve been writing trying to figure out how to set up autoresponders or work with eJunkie. Hiring others to help in their areas of expertise was a small investment that paid for itself many times over – both in money and my sanity.